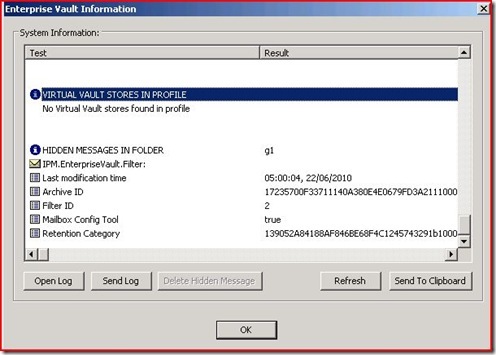 In the Enterprise Vault Outlook Add-in you can enable a hidden button called the “Delete Hidden Message” button. 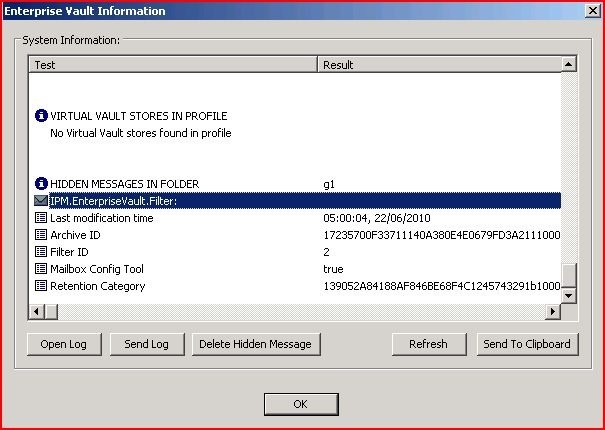 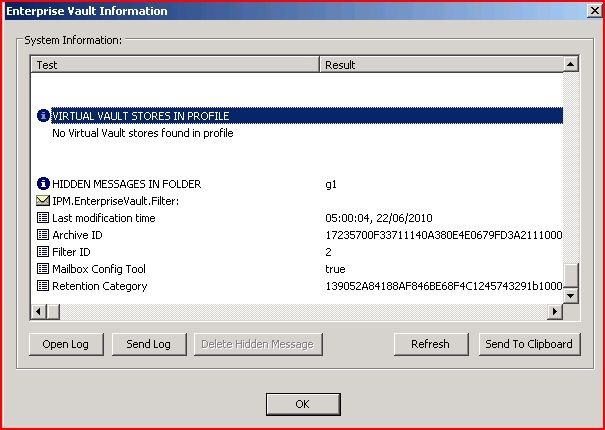 As many people may know already Enterprise Vault stores some policy information in hidden messages in the end-users mailbox. 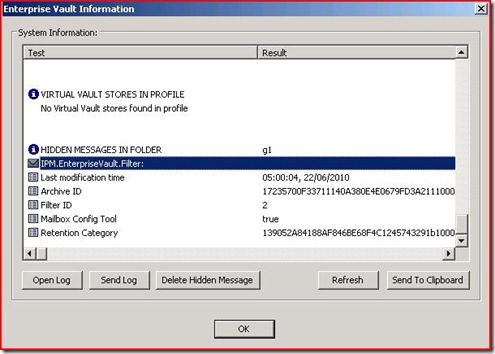 Sometimes this hidden message fails to be updated properly – even though it’s rare, it’s more likely to occur with cached mode Outlook profiles.